This book was officially announced for pre-sale on Feb 20th 2014, and will be published in April to tie in with the memorial concert. You can read the latest details on our posting. Over the years Jon Lord often considered working on an autobiography, but as we know with Jon the music came first and, always busy, the writing never got off the ground. But the idea of a photographic memoir did appeal to him. The concept was to collect together many photographs from across the years, and then Jon would put down his thoughts and memories. Jon’s illness put this plan on hold but though he is no longer with us to contribute in person, it has been decided to continue with the book, which is supported by his family, friends and musicians who worked with him, all of them contributing personal material and memories. The book is designed to be a massive photographic celebration of Jon’s life and work, and will contain much rare material from his early days (before he became a professional musician), through the Artwoods, and of course Deep Purple. His time in PAL and Whitesnake are also covered, and naturally his many orchestral projects. Recently discovered images taken by Jon himself during his touring days in Deep Purple will also be included. 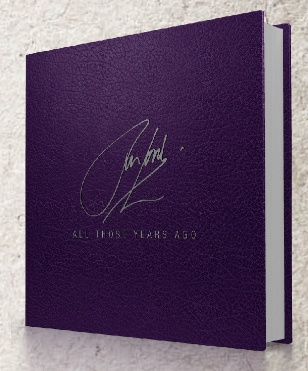 The book is being put together by RS Limited Editions, who published the much admired Deep Purple California Jam book in January 2013 which Jon was so inspired by. As well as the book, previously unreleased music from Jon’s archive is also being included. One track in particular, All Those Years Ago, has inspired the title of the project. Although much of the material sourced for the book will be from professional photographers, it is appreciated that fans may wish to contribute memorabilia or images taken over the years at concerts and we will be happy to look at any material. 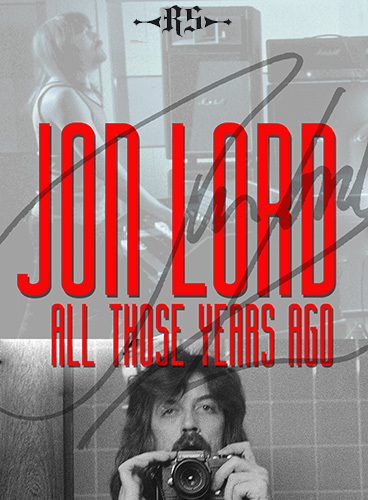 To do this, RS have set up a special web page about the Jon Lord book with submission details and conditions. It also has a nice slide show with some wonderful personal snaps from the Lord family album. People interested in the book and the project can keep up to date with email newsletters by subscribing here, and receive pre-publication information. Details of the final format for the book will be announced before long. It is currently hoped to launch the title towards the end of this year. Plans to have a blue heritage plaque unveiled on Jon’s family home in Leicester are well advanced. In April 2014 a special memorial concert is being held at The Royal Albert Hall in London as a further celebration of Jon’s music and life. It is about time a book like this was produced. It will be interesting to see the finished item. You can follow the link on the page to the RS site, and subscribe there.